♪ Students commit to an age-appropriate routine of thoughtful at-home preparation. ♪ A quality at-home practice instrument is required. ♪ Tuition is the same every month, September through June. 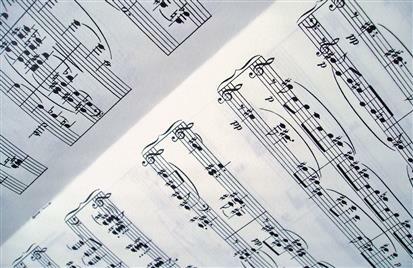 Our tuition includes most music books, recitals, and more. ♪ We're open all summer but attendance in the summer is optional and we schedule and charge for each lesson one-by-one. ♪ No long-term commitment. Lessons may be discontinued with 30 days notice. ♪ No guarantee of make-up lessons or credits, except when lessons are missed by the teacher. We keep things old-school with a simple paper registration form. Let's talk by telephone or email about your interests, goals, and schedule needs. Or better yet, come in to the Studio for a free and no-obligation interview or trial lesson. When we find the right place for you and you are ready to enroll, we'll send you a registration form. No fixed monthly charges in July and August. We have an active need-based scholarship program for youth students. If you have the talent, time, and interest to study music...we want to hear from you. All scholarship inquiries are considered on a case-by-case basis and all inquiries are confidential. Often, a prospective student or parent will ask me “how much do you charge per hour?” I don’t take any offense, of course, because I understand that parents are just trying to estimate costs and compare rates, apples to apples, among different providers. Just the same, this is an impossible question to answer because we don’t simply sell 30 minute lessons! Rather, we provide a total package of programming that includes most books and materials, recitals, group classes, and the year-round maintenance of our beautiful and comfortable studio. In short, our rates cover so much more than your weekly lesson.